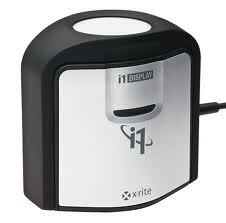 Officially known as the i1 Display Pro III, by any definition X-Rite’s new Display i1 Display Pro colorimeter is a disruptive technology. In many ways, it is not useful to think of the Display 3 as simply a successor to the Display 2, which has been the dominant affordable colorimeter on the market for several years. The Display 3 is based on a completely different design and offers a level of performance profoundly superior to the Display 2, indeed profoundly superior to any colorimeter at anywhere near the MSRP price of $269. For a full review of the Display 3 colorimeter, see New Gear. Despite this, it is an affordable mass-market device whose tolerances fall short of professional color analyzers. We have developed a version of the Display 3, which we have named the Display 3 PRO, that offers substantially enhanced accuracy across a wide range of displays. What we have done is provide a software-based refinement to and expansion of the existing calibration tables in the individualized license file delivered with each unit. To understand how this works, it is important to first understand the source of errors in tristimulus colorimeters. The inaccuracies of a filter-based colorimeter arise from a variety of sources. 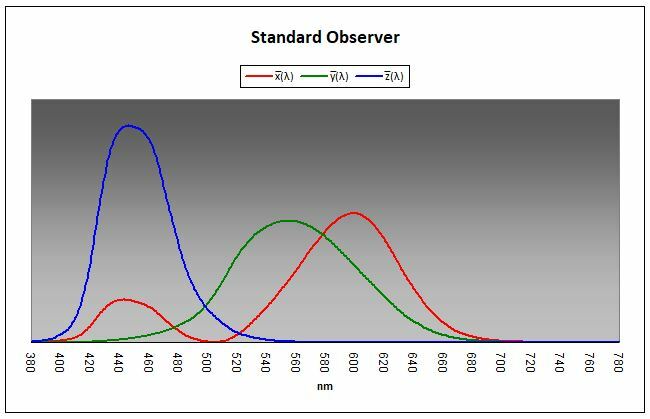 Taken together, these four sources of inaccuracy—generic factory calibration, unit-to-unit variation, effects from aging, and a lack of consistency among displays—result in a device that, on average according to our tests, typically deviates from a reference spectroradiometer up to about 5-6 dE (CIELAB). Our PRO version of the meter will cut this source of error in half. Of course, the best way to minimize these errors is to use your own reference spectroradiometer to correct the Display 3 for each calibration session on a single display. ChromaPure provides an Meter Correction module for just this purpose. However, the vast majority of consumers cannot afford a true reference device, which are very expensive. SMPTE requires a reference instrument to have a minimum accuracy of ±0.002 for the measurement of xy chromaticity coordinates at any luminance above 3 ft-L. The only instrument capable of this level of precision is a 5nm spectroradiometer. A tristimulus colorimeter will not offer this level of accuracy, nor will an 8nm or 10nm spectroradiometer. First, we individually test each meter against a reference spectroradiometer on a CRT, several LCD flat panels, a plasma flat panel, and front projector with a standard UHP lamp and a LED lamp in both luminance and illuminance modes. Third, for a modest fee, we will periodically re calibrate your Display 3 PRO to ensure it retains its initial accuracy. This service eliminates the problems associated with exposure to the elements over time. The Display 3's accuracy is reasonably consistent when reading CRTs, plasmas, and front projector screens. The biggest problem by far lies with LCDs. Using the Standard mode the Display 3 may read one LCD very accurately and yet be off on another. It bis difficult to achieve consistency when reading LCDs. Contrary to one widely-repeated myth, this is not an issue directly related to the difference between CCFL backlit and LED backlit displays. Some LED displays actually give the colorimeters less trouble than their CCFL counterparts. Also, the Display 3 can maintain considerably different levels of accuracy when comparing two CCFL displays. The problem isn't with LED backlighting. The problem is LCDs period. To address this problem, the Display 3 PRO ships with 5 different LCD modes. We may add additional LCD modes as needed. The result? The Display 3 PRO is a colorimeter that offers professional grade performance at a price affordable to the amateur hobbyist or enthusiast. Our tests show that the Display 3 PRO offers accuracy for color and the white point that in the majority of cases exceeds that of the i1Pro. Furthermore, its luminance readings are far superior to the i1Pro, both in terms of general accuracy and certainly in dynamic range. Quite simply, we believe that this is the best sub-$1000 meter for video calibration on the market today. Is it a true reference device? No. But at this price it comes as close as any device we are aware of to this standard. For best accuracy, we recommend calibrating front projectors by taking readings directly off the screen. However, for those who wish to take readings directly from a projector's lens, the Display 3 offers a built-in color neutral diffuser.